WHEN: 1:30 – 4pm, Sunday, April 14. And don’t forget to sign up asap for our all-day Klezmer String Orchestra on May 19 at the Canadian Language Museum with Deborah Strauss and Jeff Warschauer. Registration HERE: It’s easy to get to, and it’s a beautiful space. Both workshops and the day will be done partly by ear, with music available. As in most traditions, it’s important to get a feel for the rhythms first and foremost. 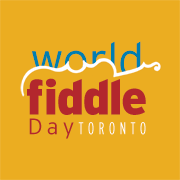 We have added an mp3 from the Flying Bulgar Klezmer Band (a 1990s TOronto group that Anne was part of), and the music for Kandel’s to the Workshop Dropbox, available here. THe Flying Bulgar version is fast. A couple of slower versions are on Youtube here, violin-led and quite beautiful.